I went to this restaurant on recommendation of a friend and did not regret going here at all. The name of this restaurant refers to “Bohemian” and “Bourgeoisie”. 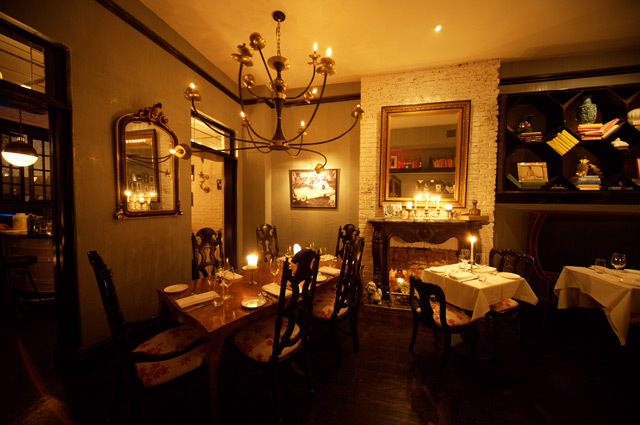 It is a super cosy restaurant in the West Village. You get an easy dinner in a warm atmosphere. There was a nice young crowd and I really liked the look of the place – a little hidden on the corner of 10th and 7th, brick walls and candlelight. 181 W 10th St, New York, +1 2124882626, Underground: Christopher – Sheridan S – $$$.